These hand-crafted one-of-a-kind silhouettes make wonderful favours for your guests to keep as a unique memento of your special day. 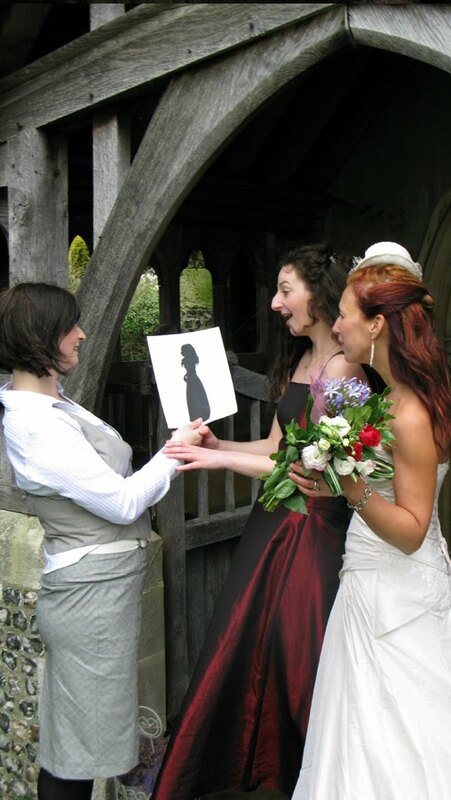 Sarah is present at the wedding drinks reception and/or around the wedding breakfast to mingle with your guests whilst cutting their silhouettes freehand using nothing but scissors and black paper. There is no drawing out first or other trickery! "Flattering Miniature Paper Profiles Created in a Matter of Minutes"
The results are flattering miniature paper profiles created in a matter of minutes. 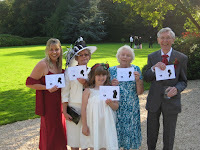 They are presented to the guests in mount cards which could be personalised to include a special message. Find out more about Customising mount cards for your wedding here. 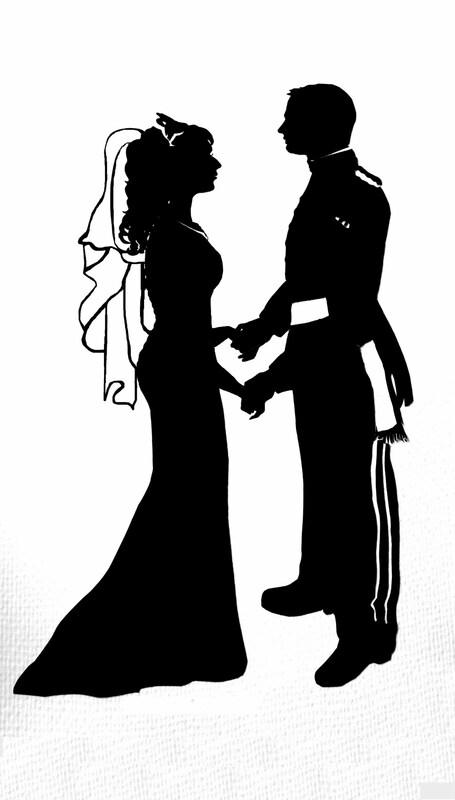 Other options include full-length silhouettes of the happy couple and duplicate silhouettes of your guest’s for the happy couple to keep or add to a guest book. To find out more about these please mention them when you make an enquiry. Silhouette cutting is a particularly rare art form as there are only a handful of silhouette artists in the UK, most people don't even know it exists. This makes this type of entertainment different from the ‘norm’ and a real WOW! factor. Guests are always amazed that I cut these paper profiles freehand. I always get people asking interesting questions about this rare art form and often gasp in delight when they see the finished article. The art of silhouette cutting date back to 17th century France. Where they were a quick and inexpensive way to capture a likeness of a loved. As only a few talented people could create silhouettes freehand, Silhouette artists were in great demand and it remains extremely rare today. It's always useful to state the date, location, number of guests and start time so that I can quote you accurately.